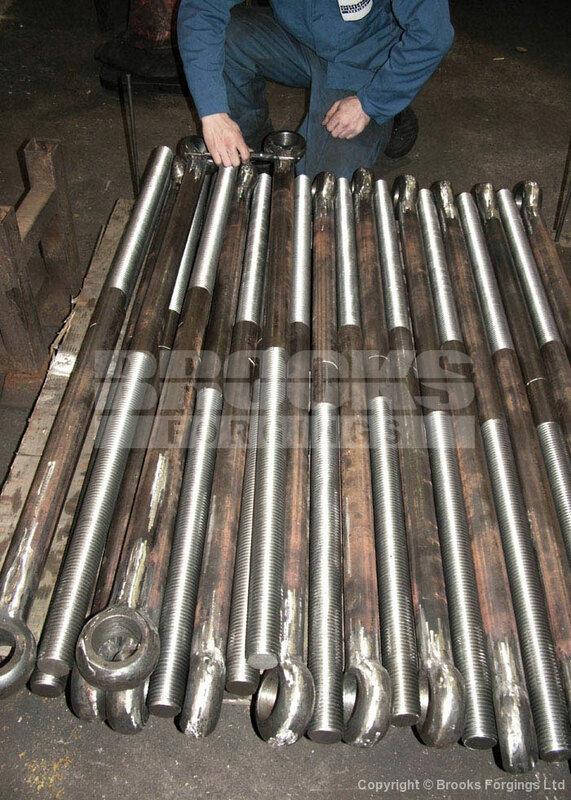 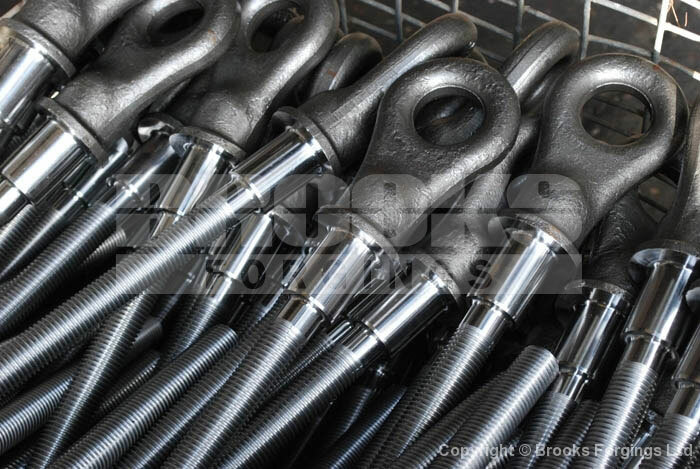 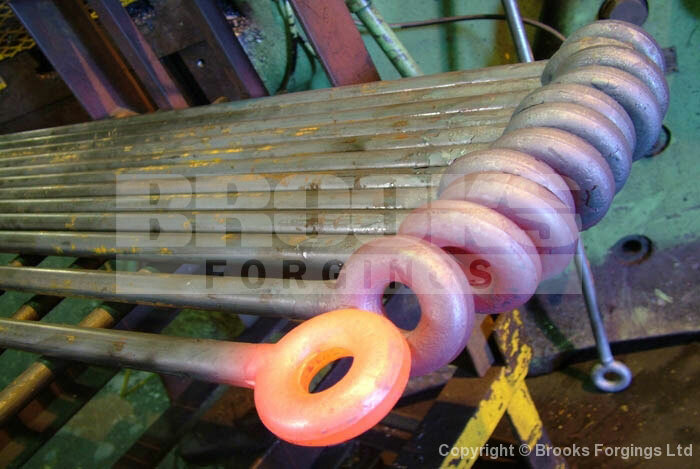 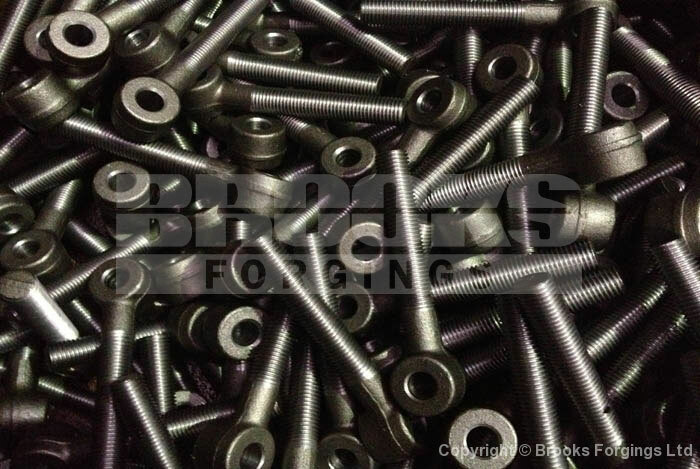 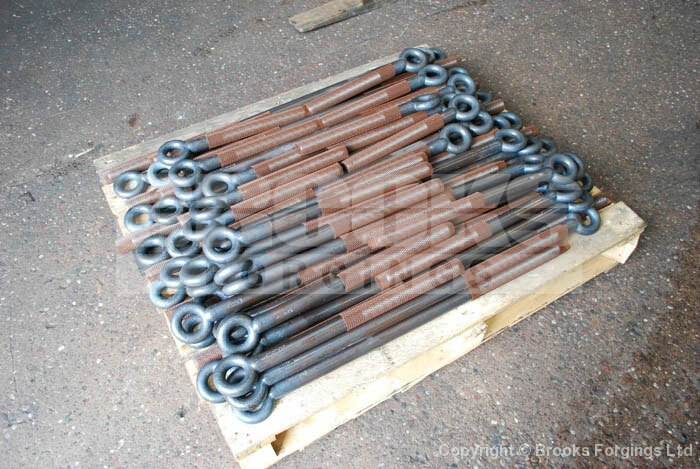 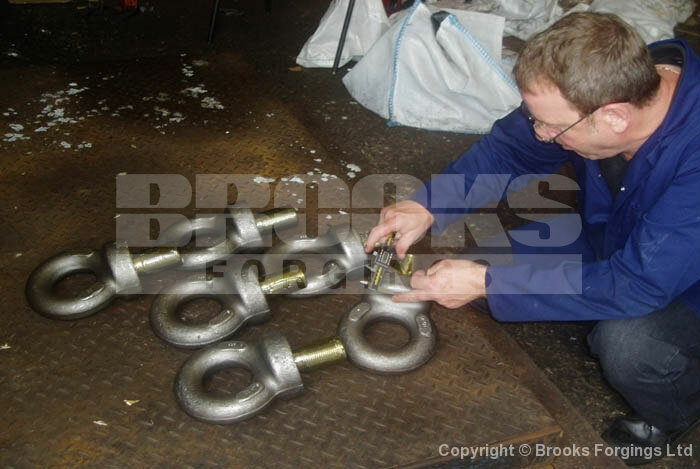 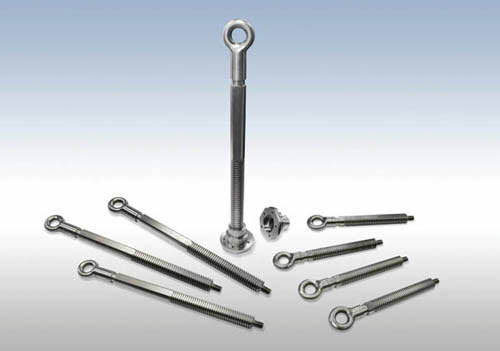 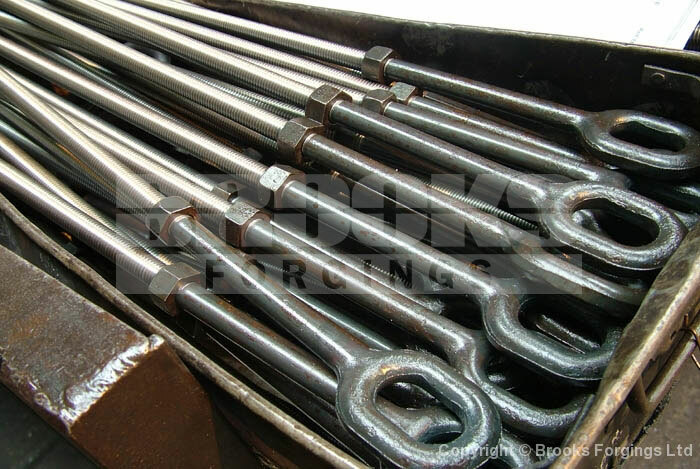 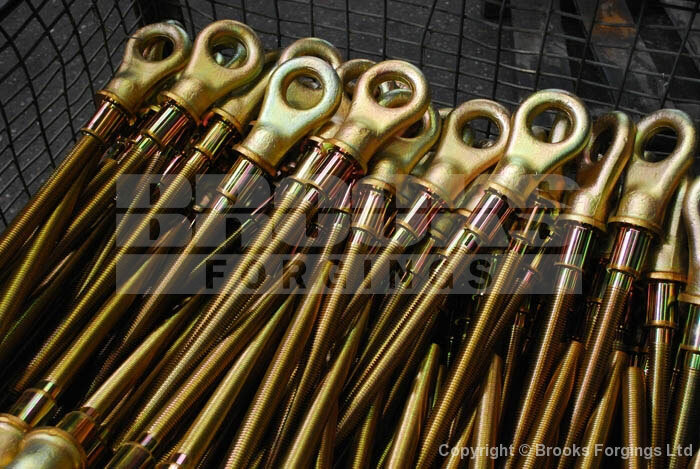 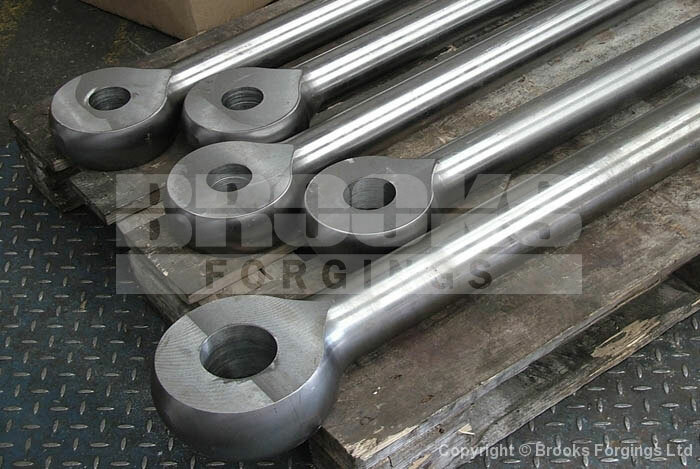 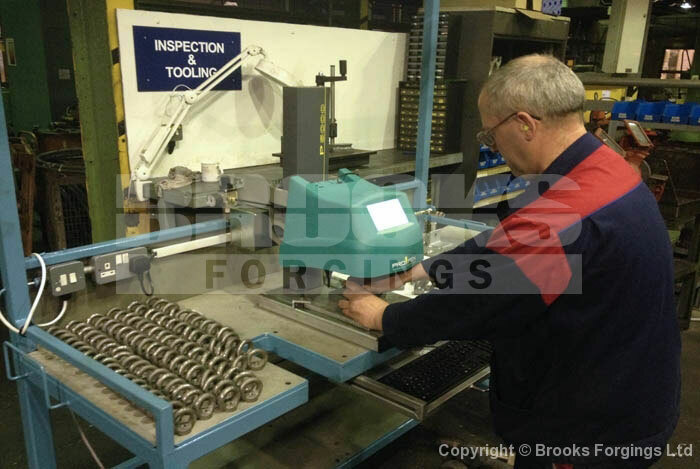 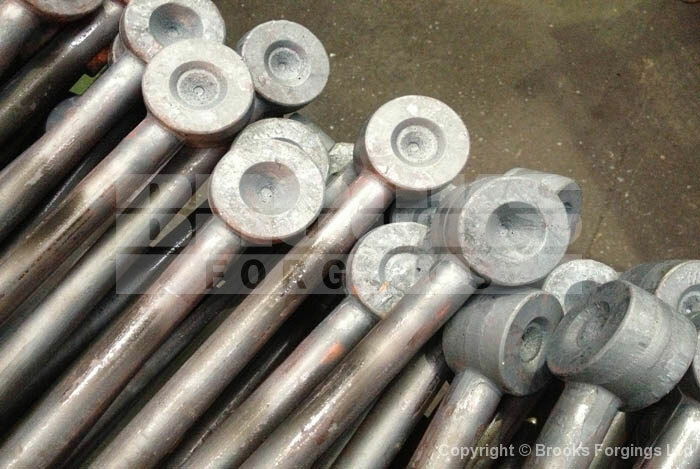 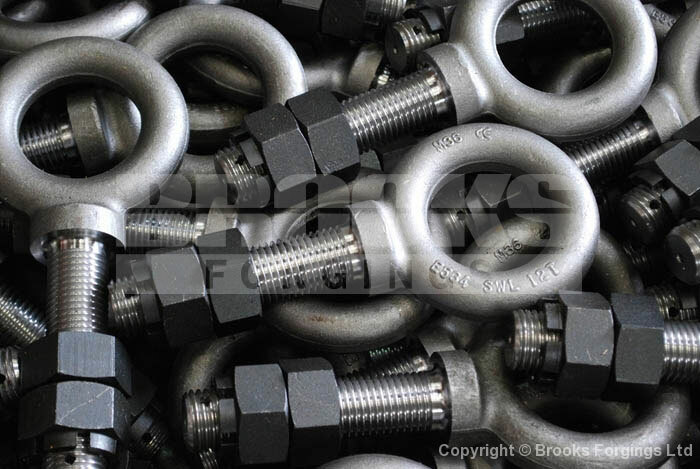 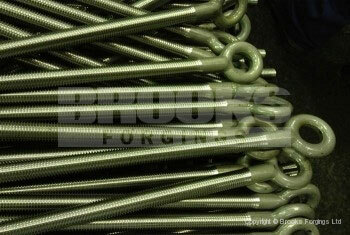 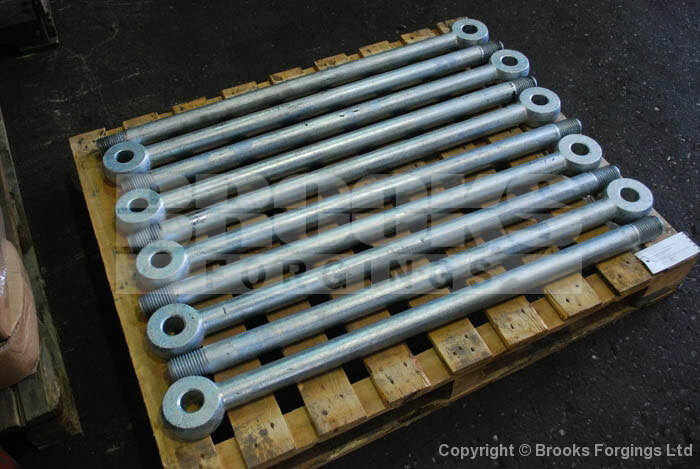 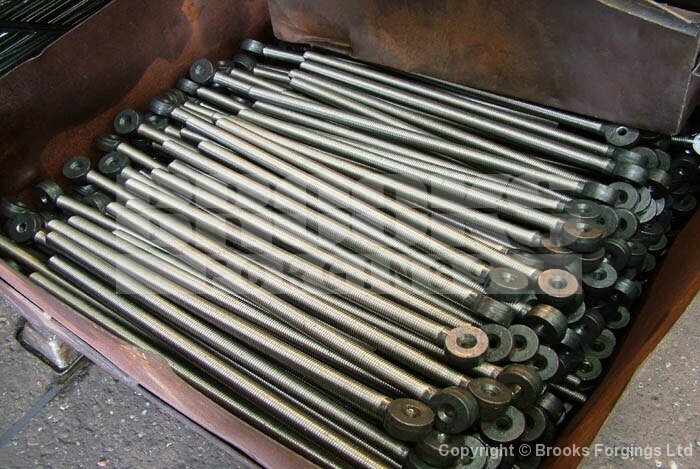 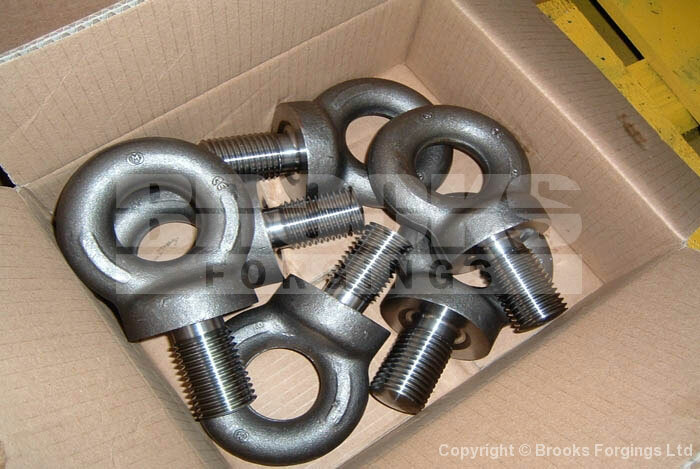 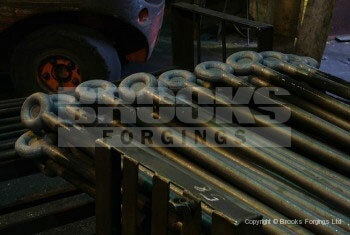 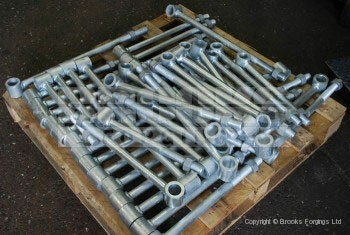 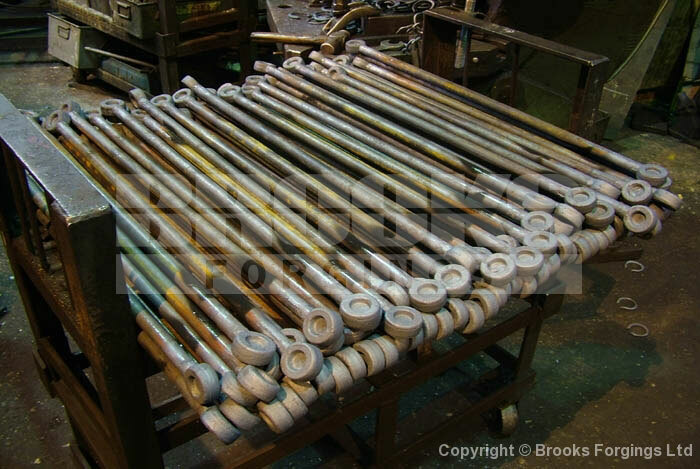 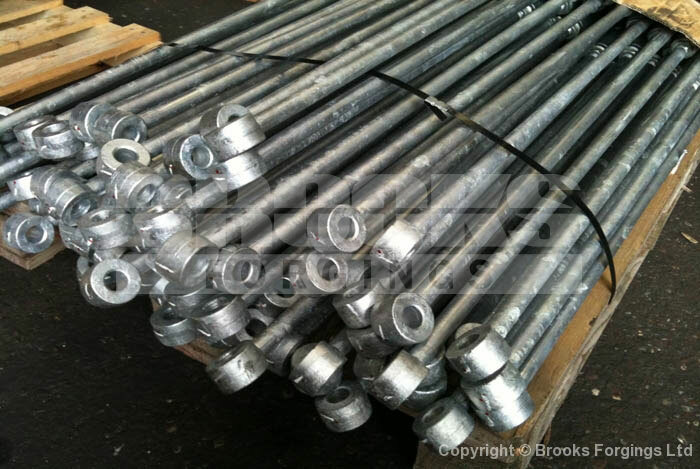 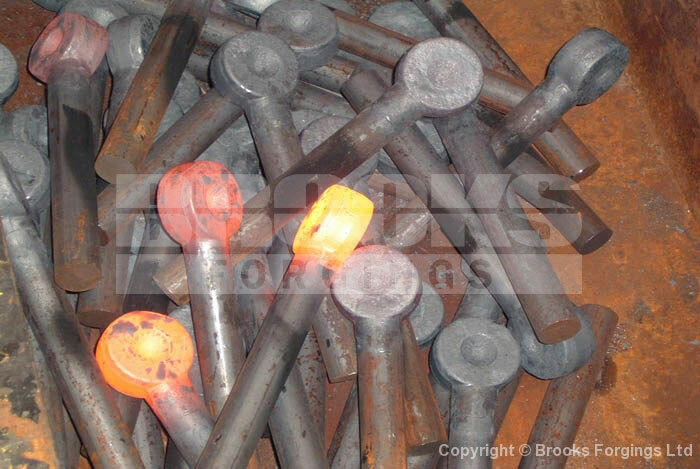 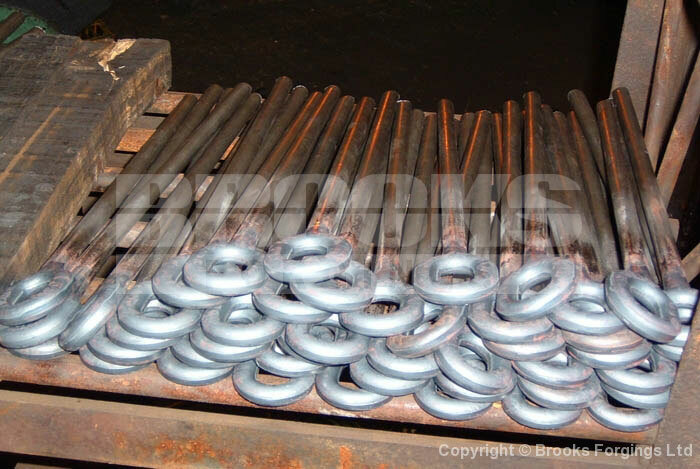 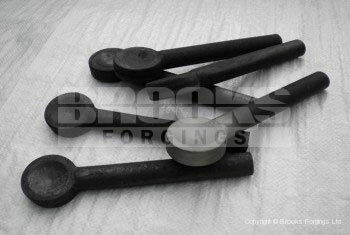 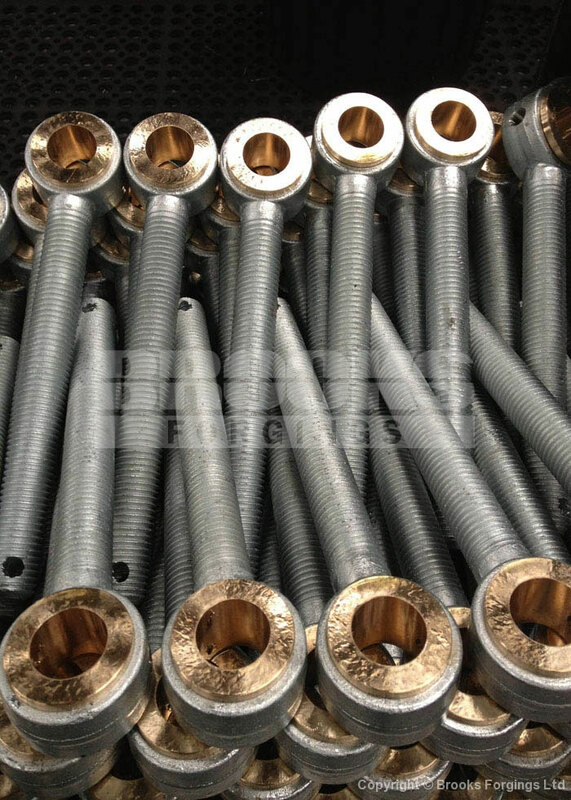 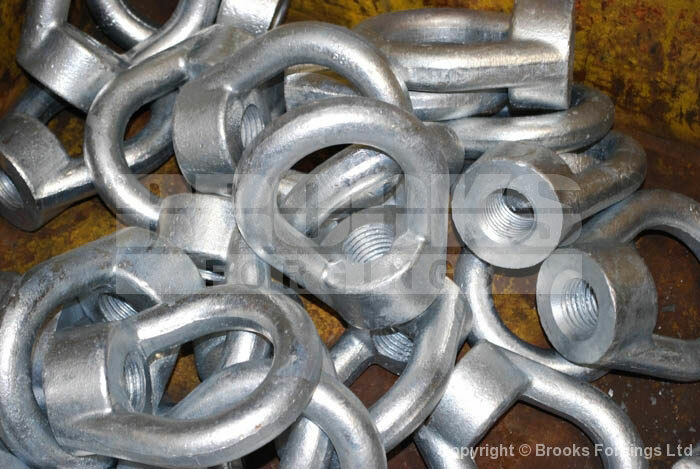 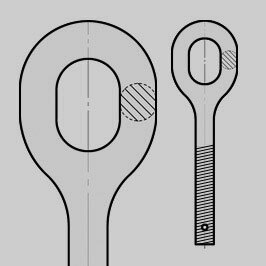 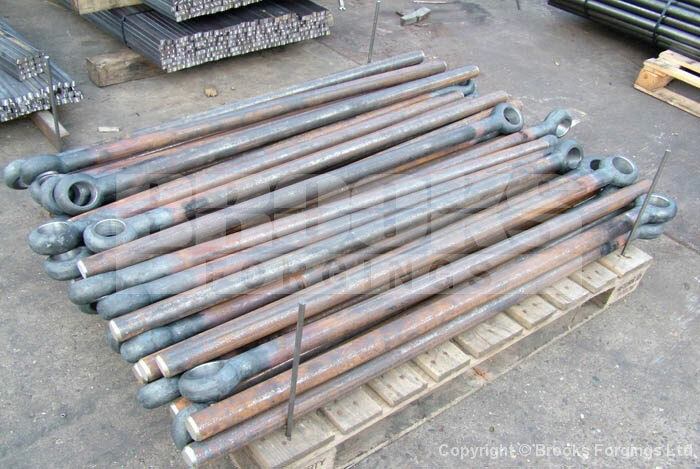 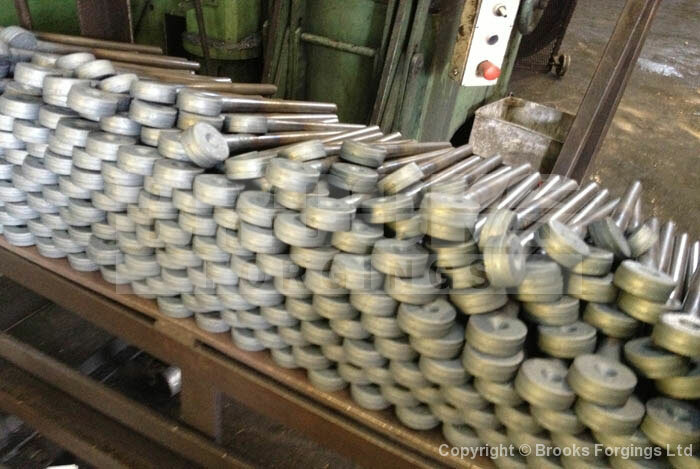 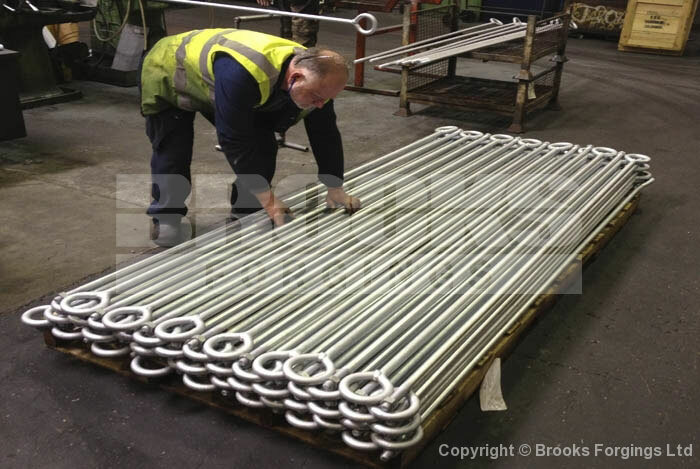 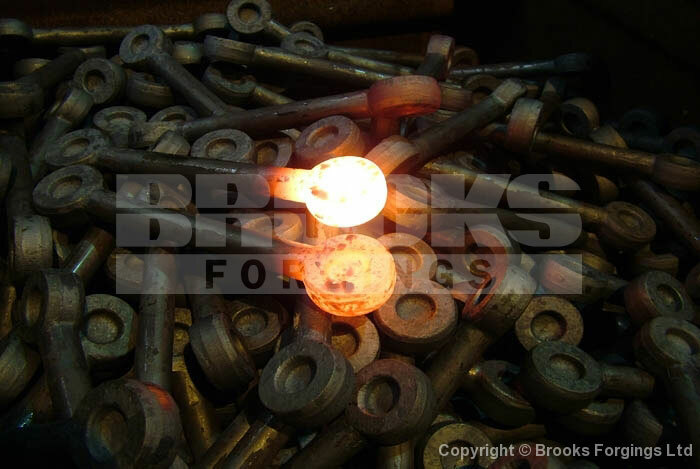 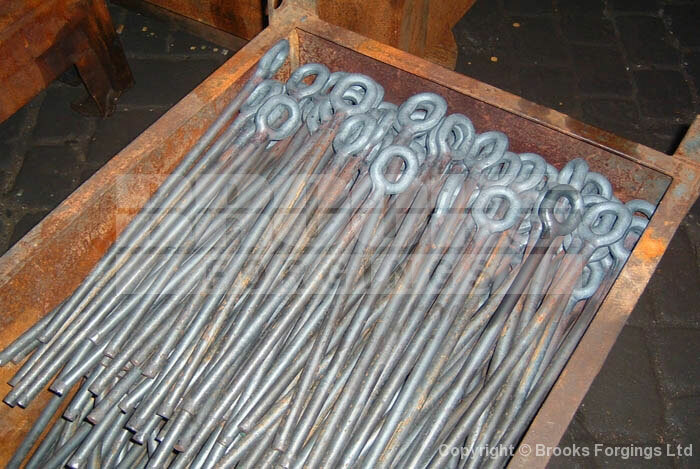 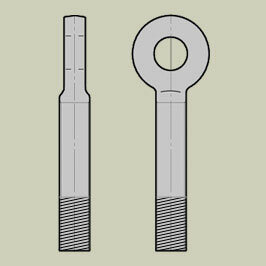 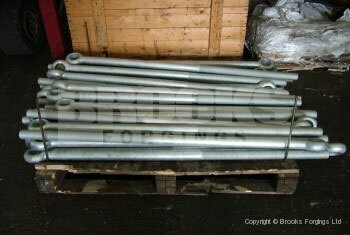 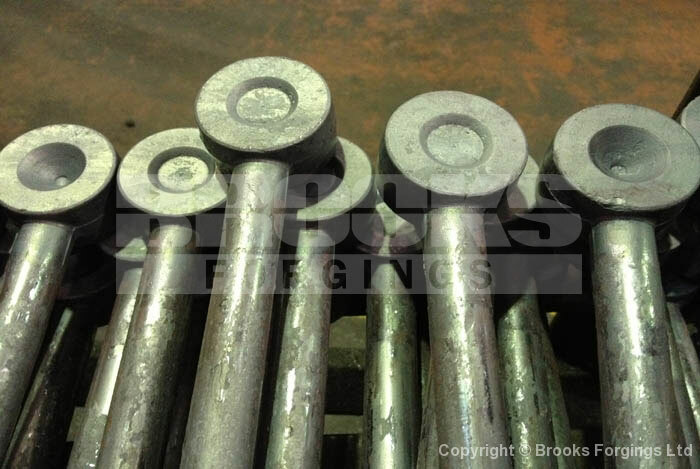 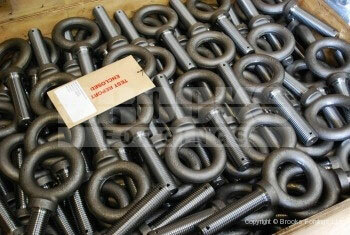 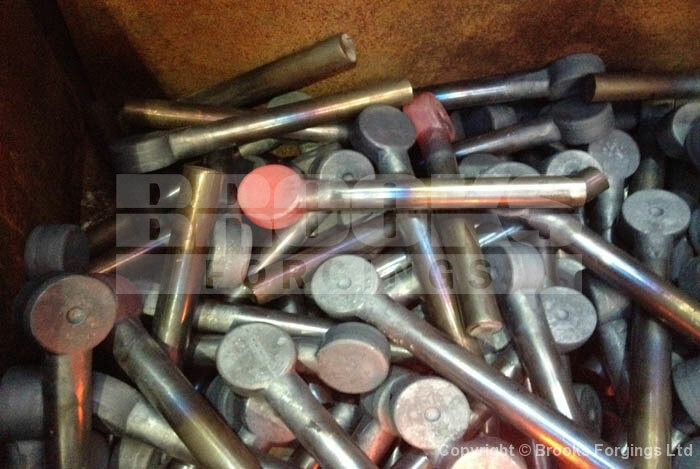 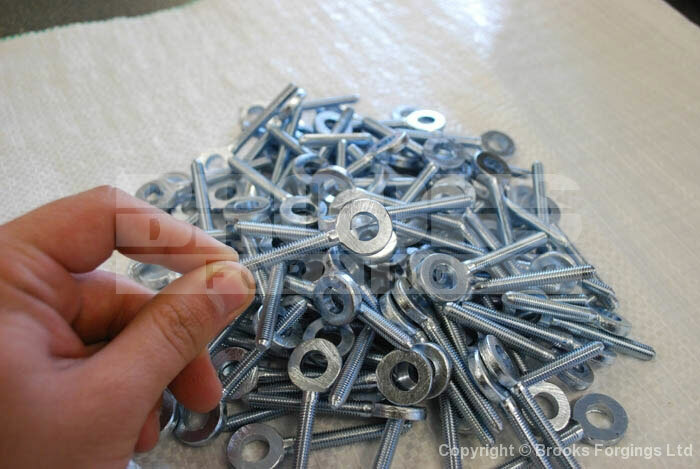 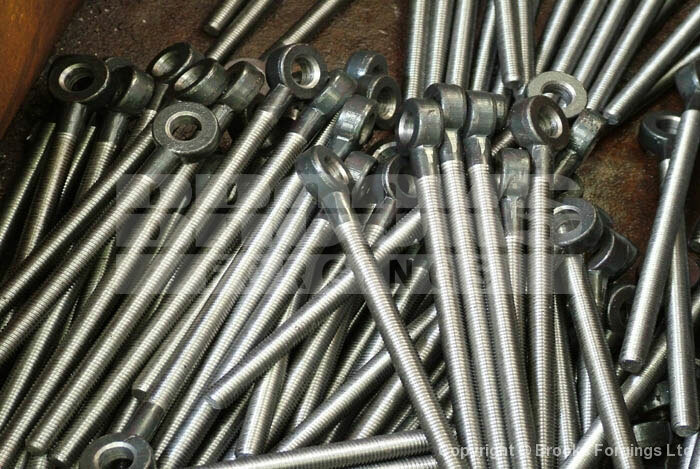 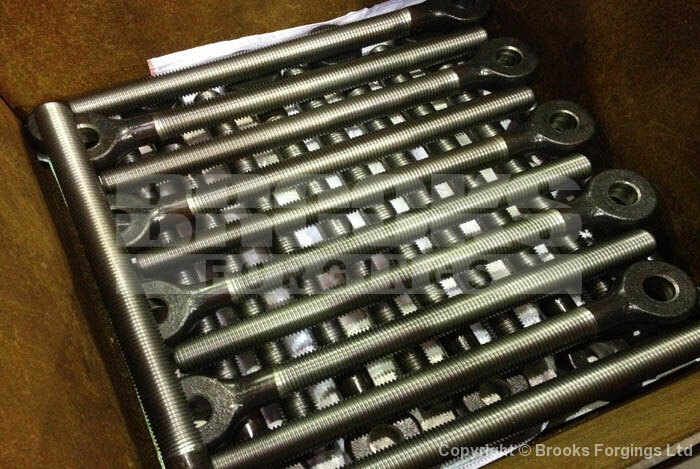 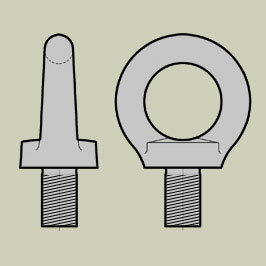 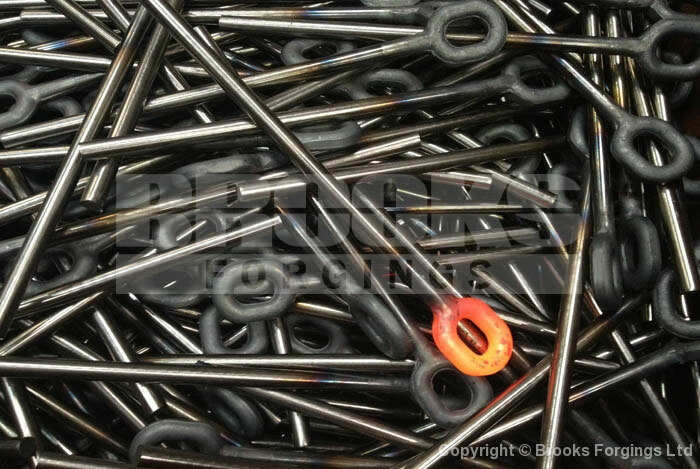 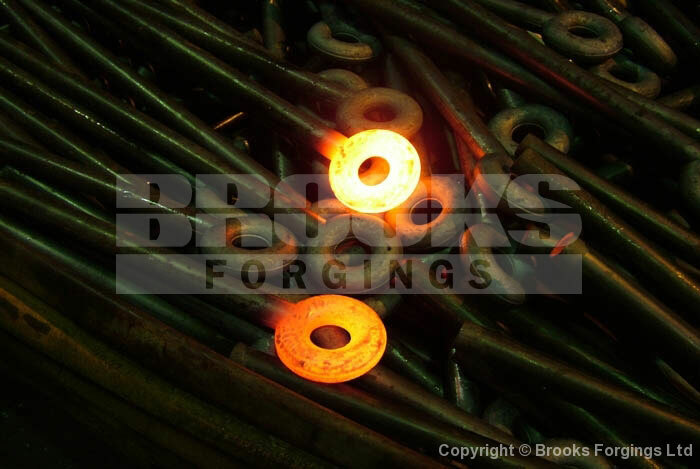 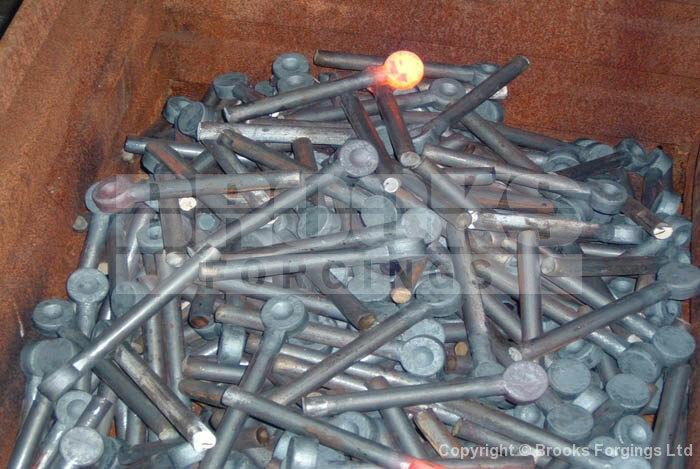 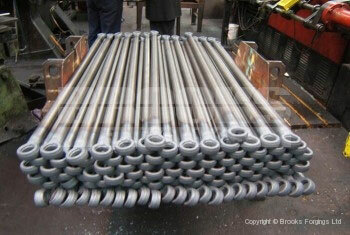 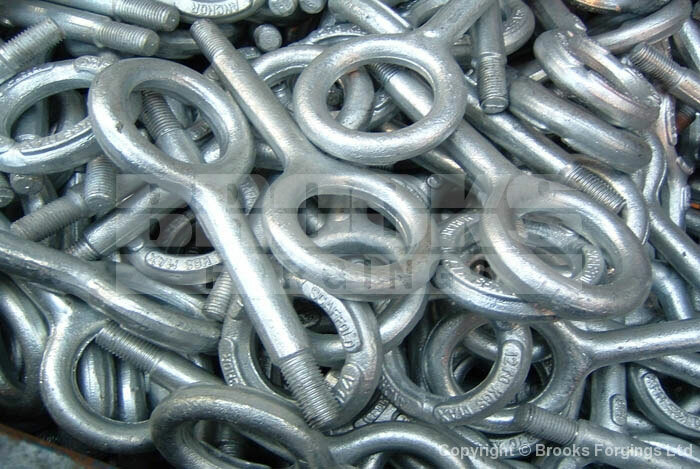 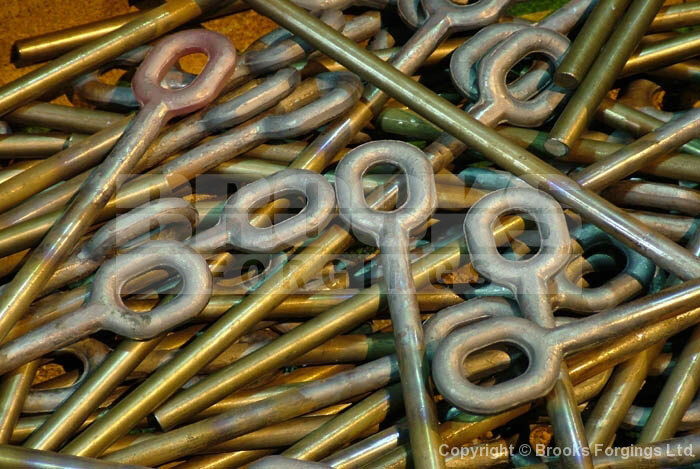 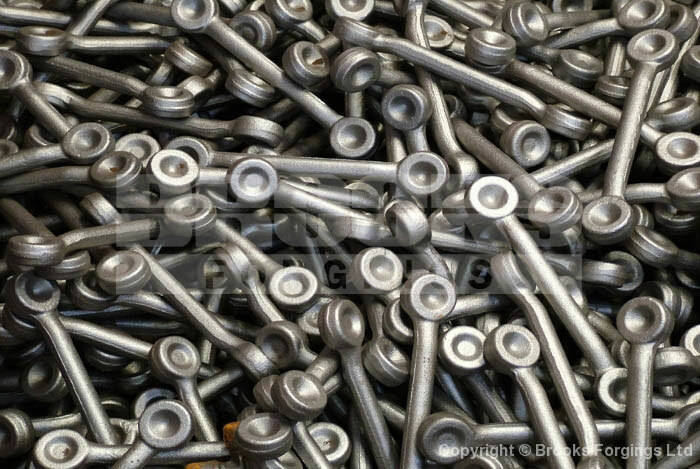 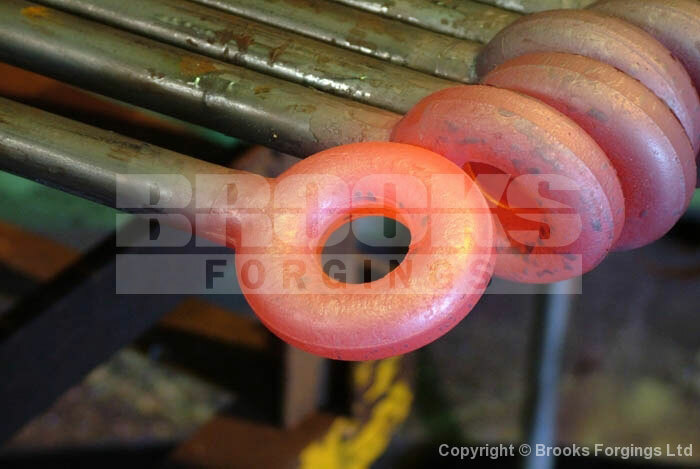 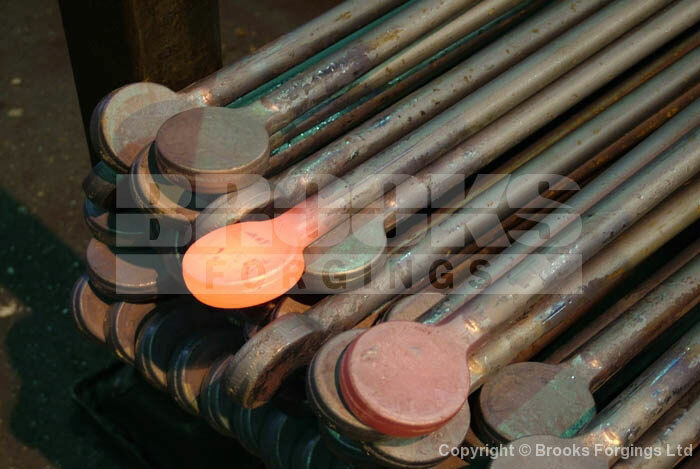 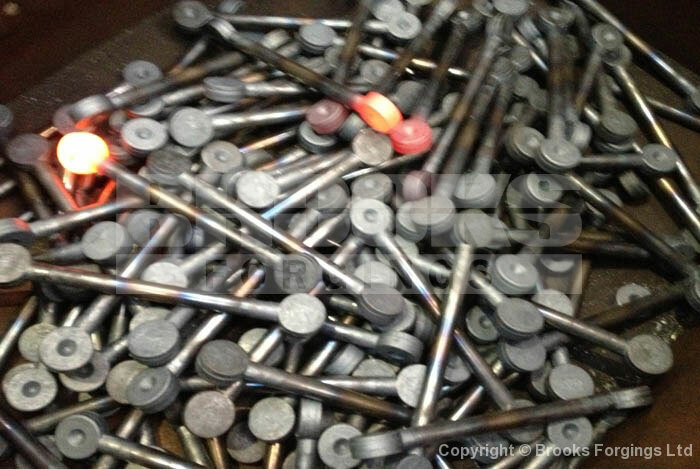 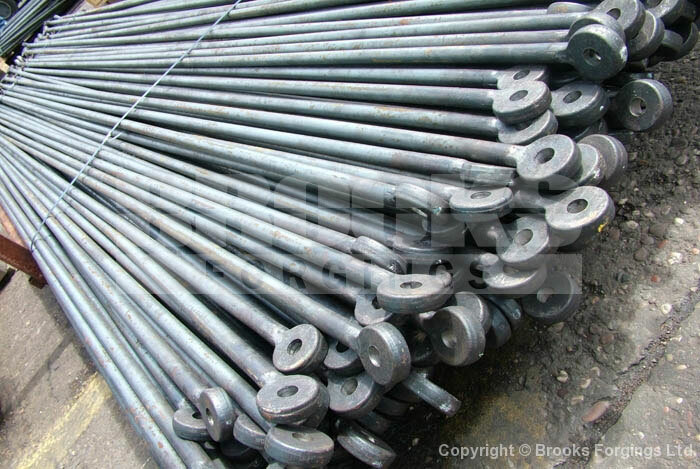 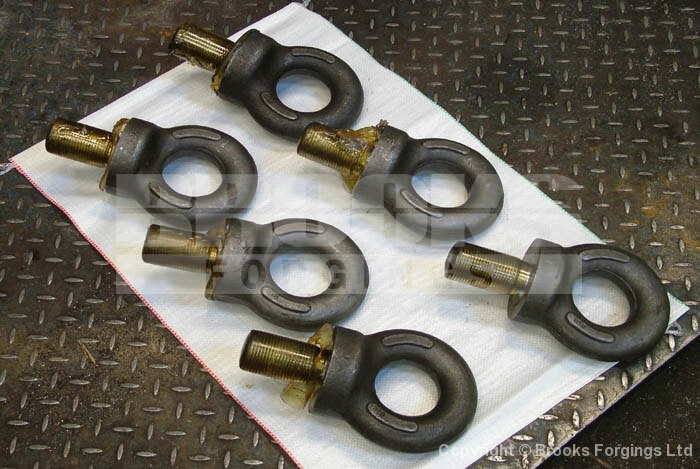 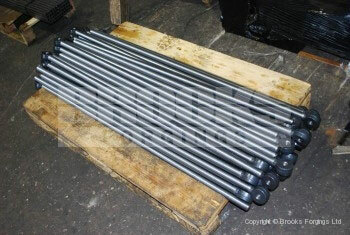 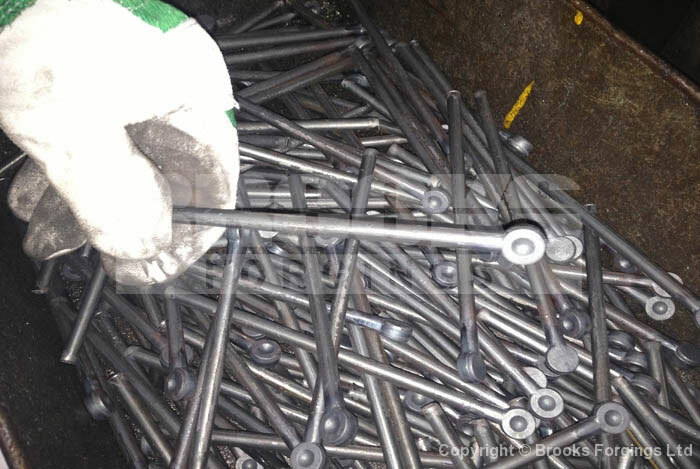 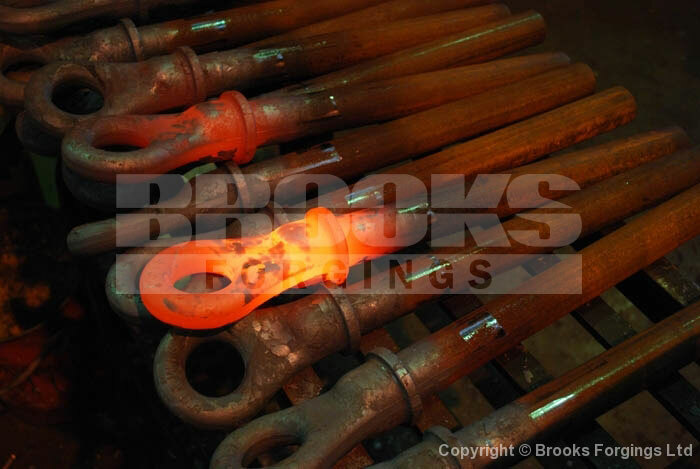 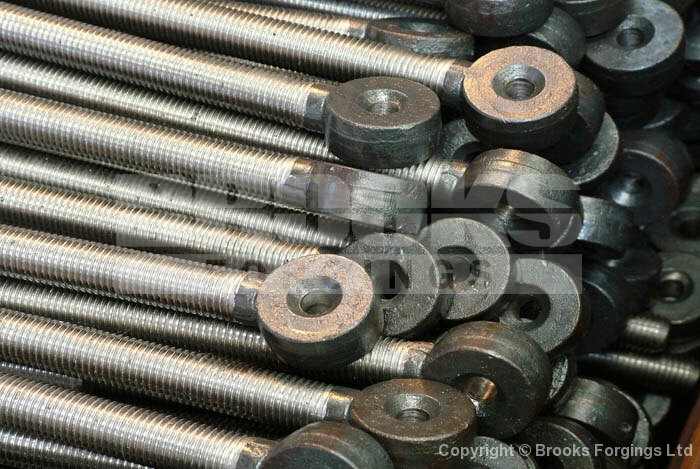 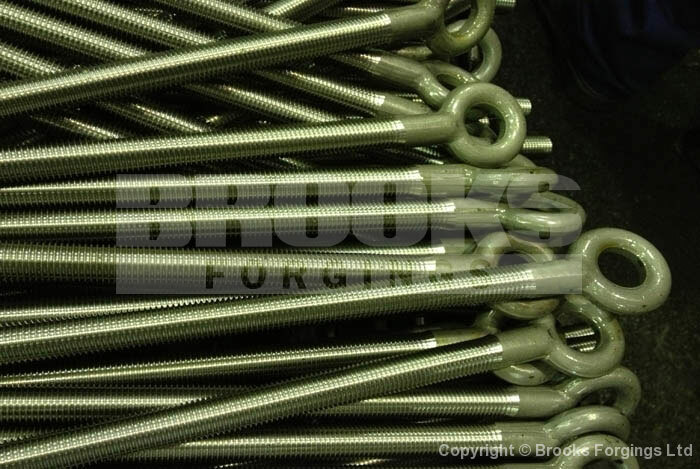 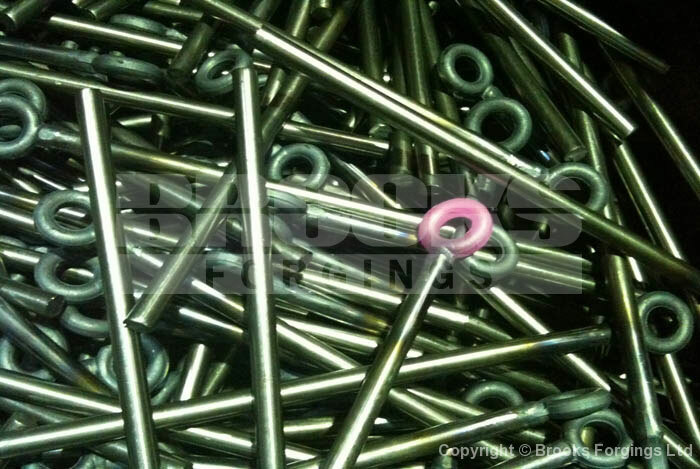 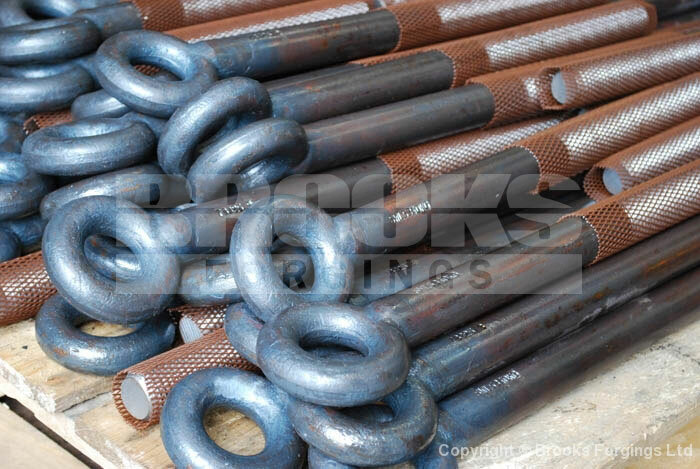 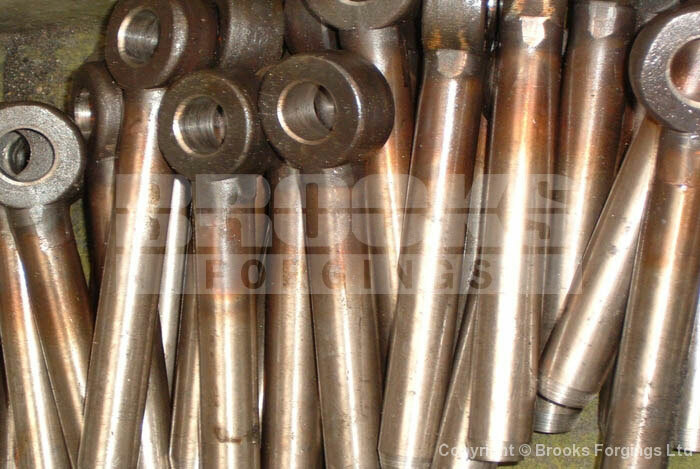 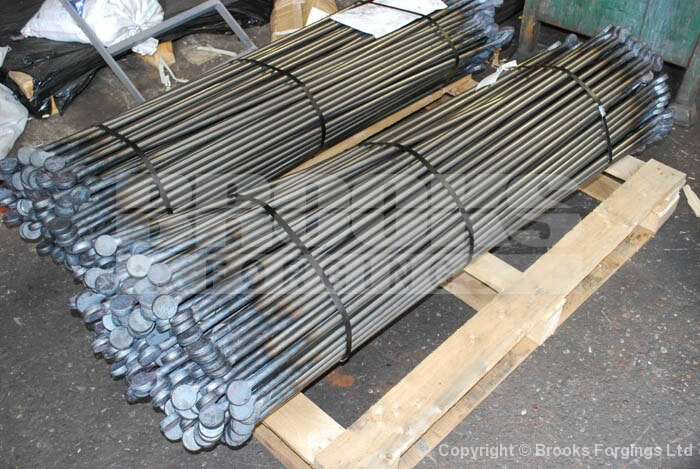 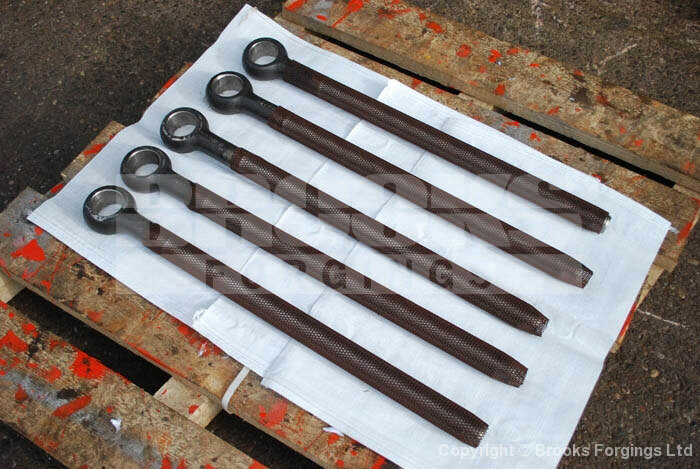 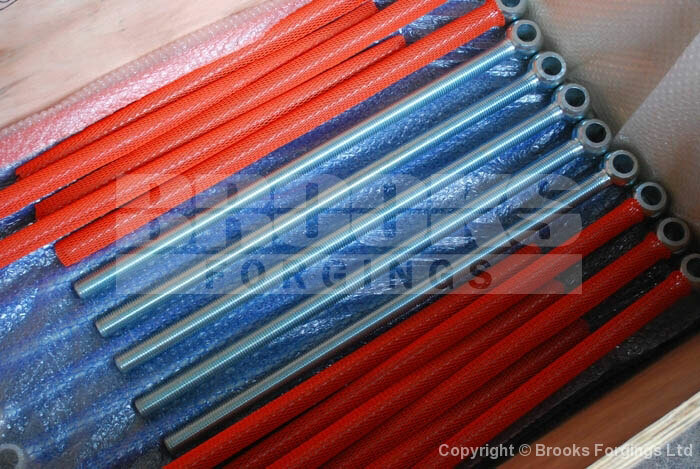 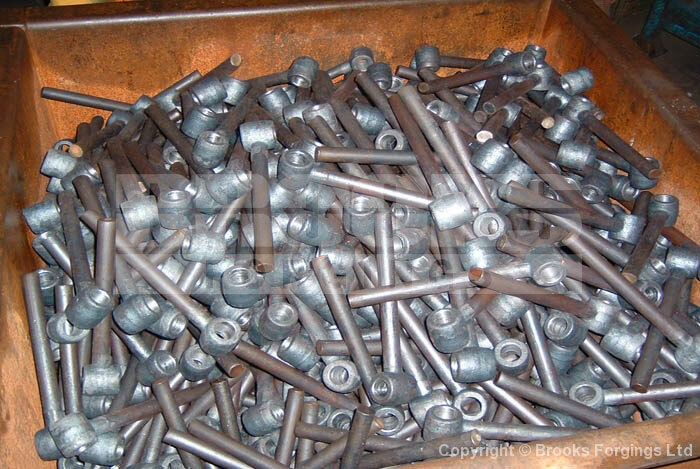 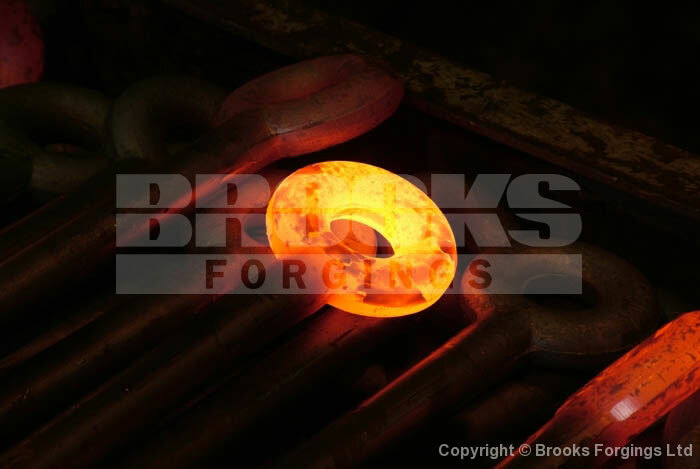 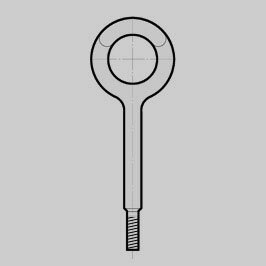 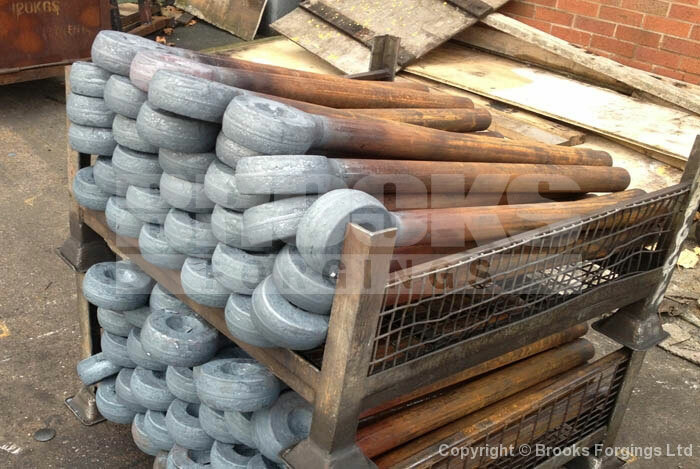 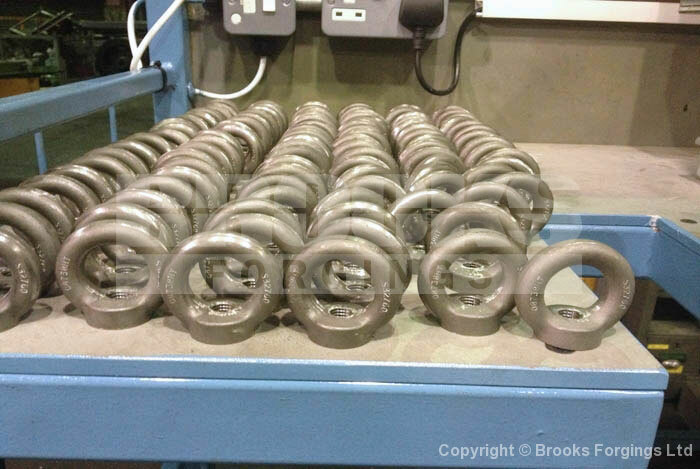 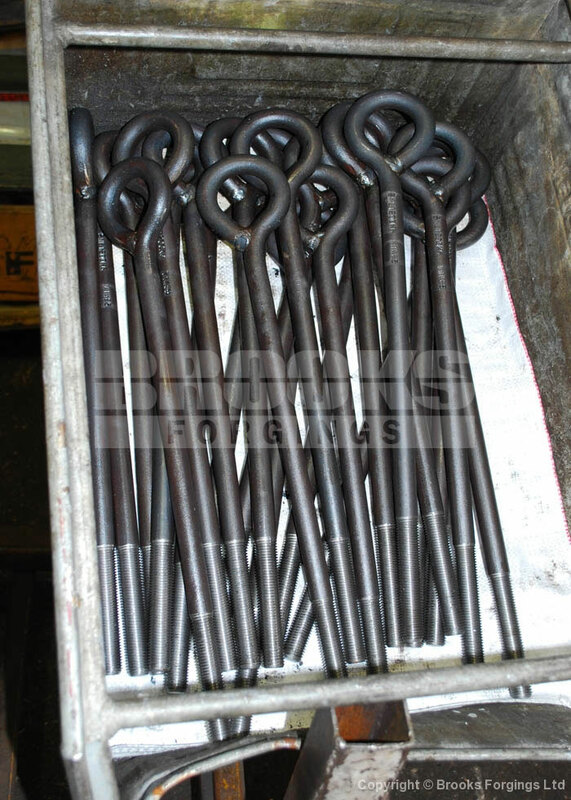 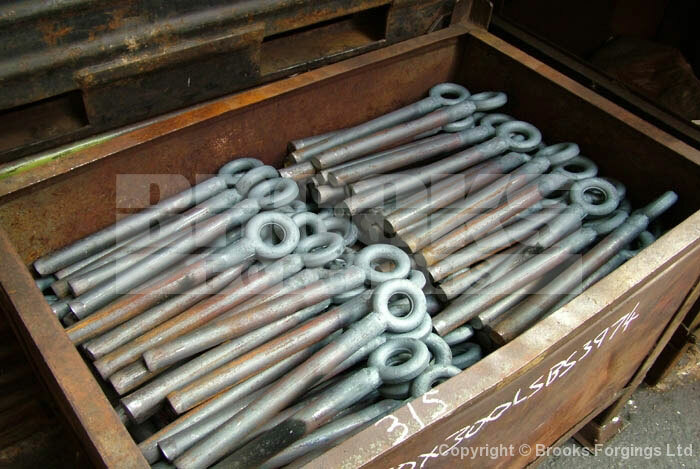 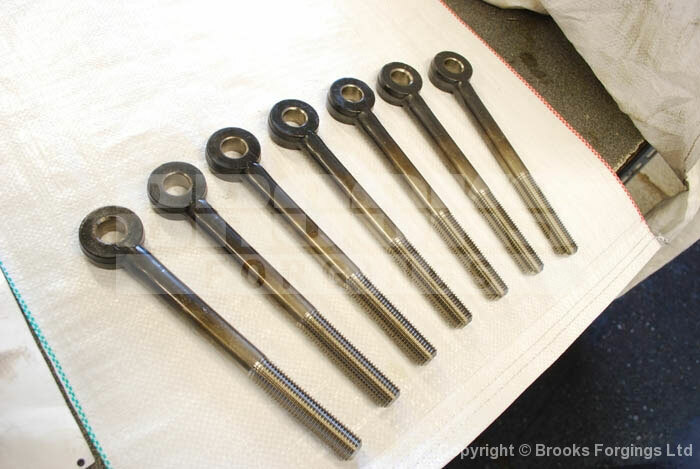 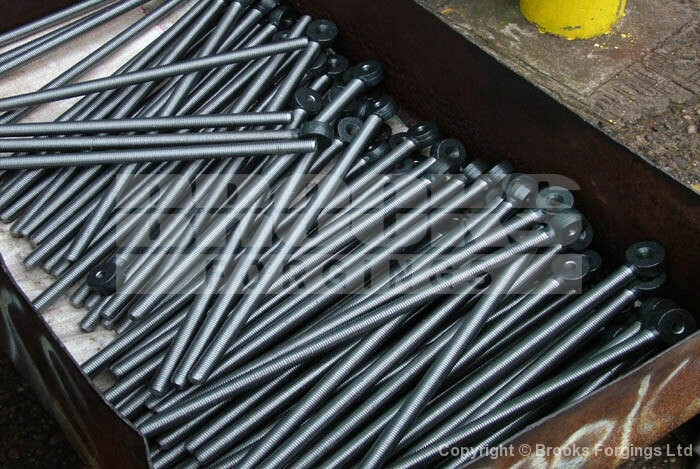 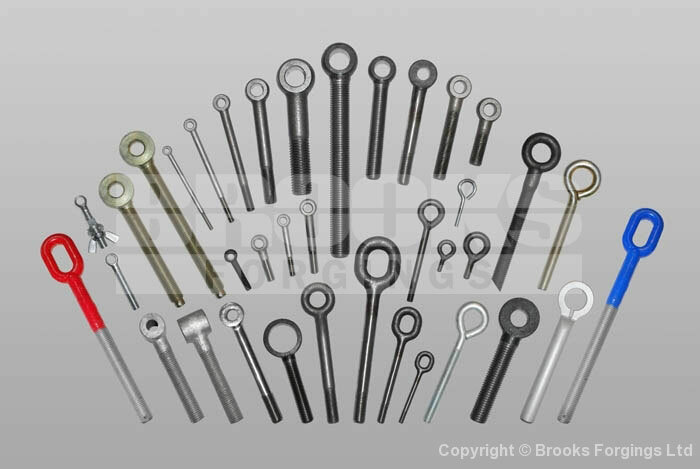 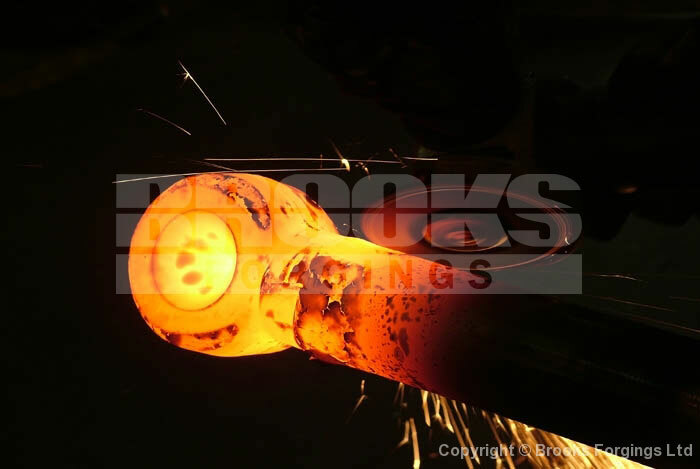 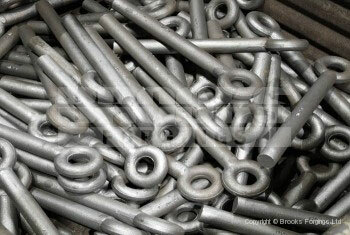 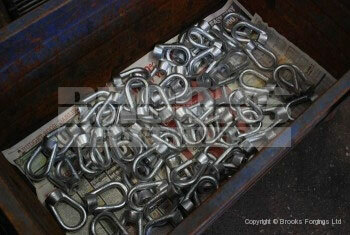 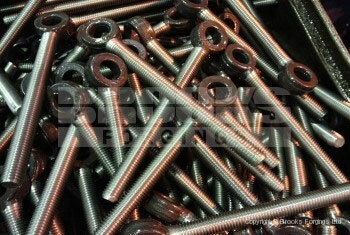 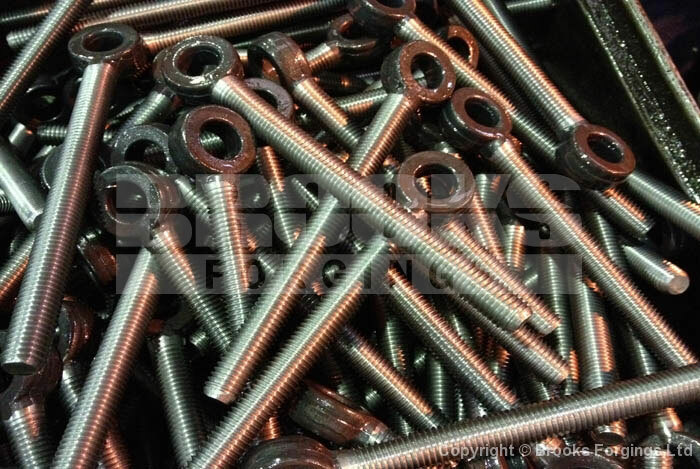 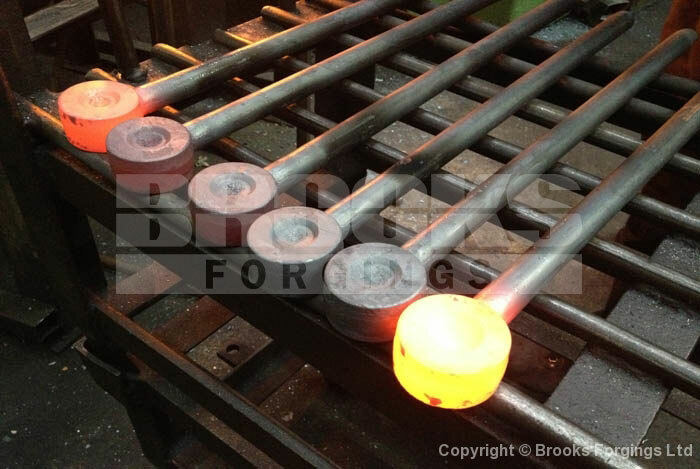 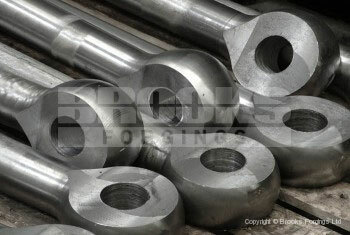 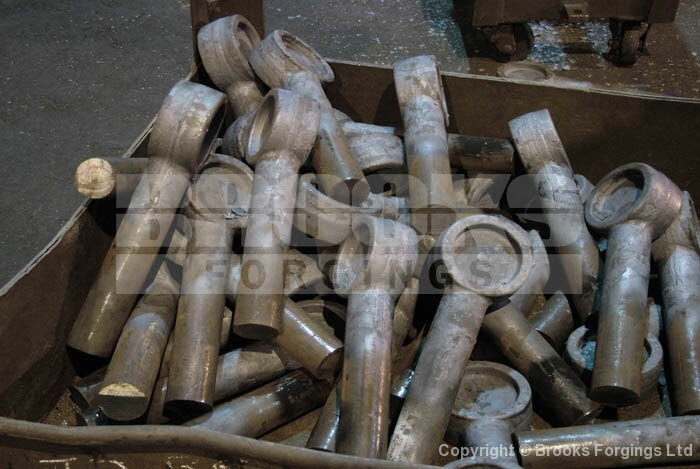 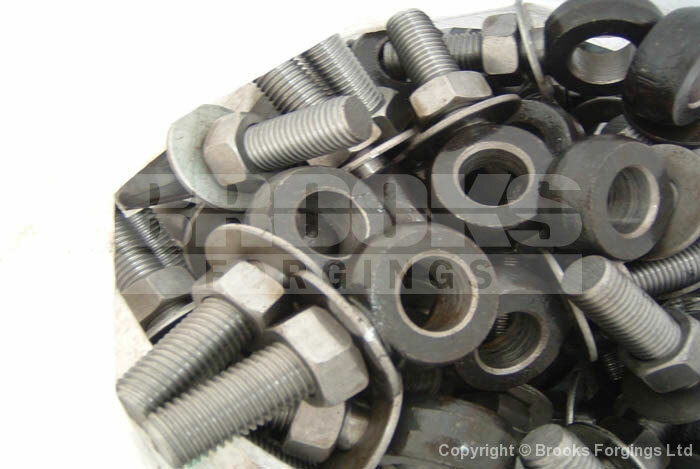 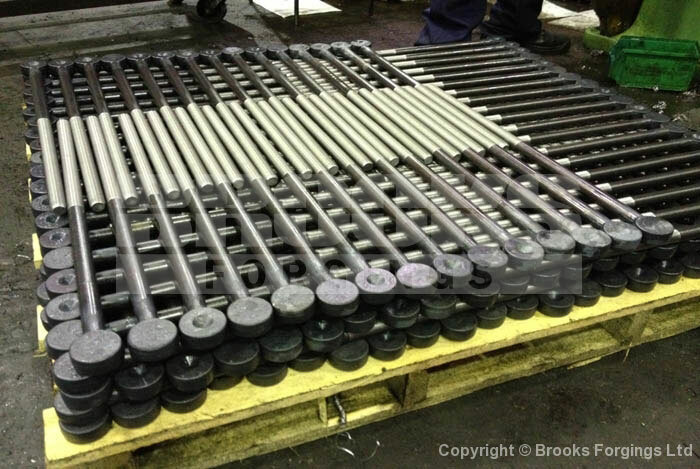 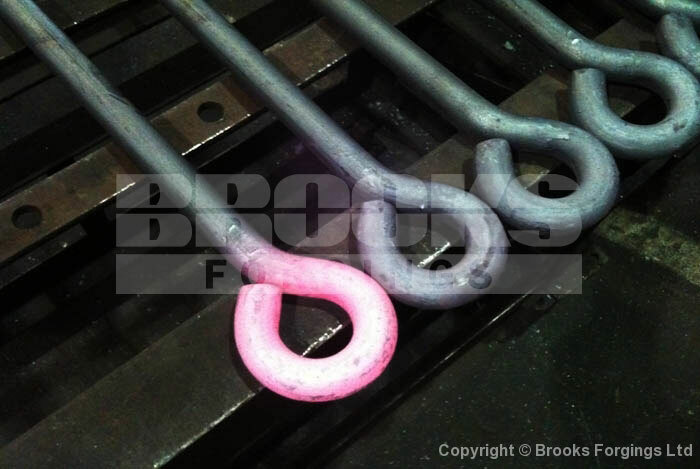 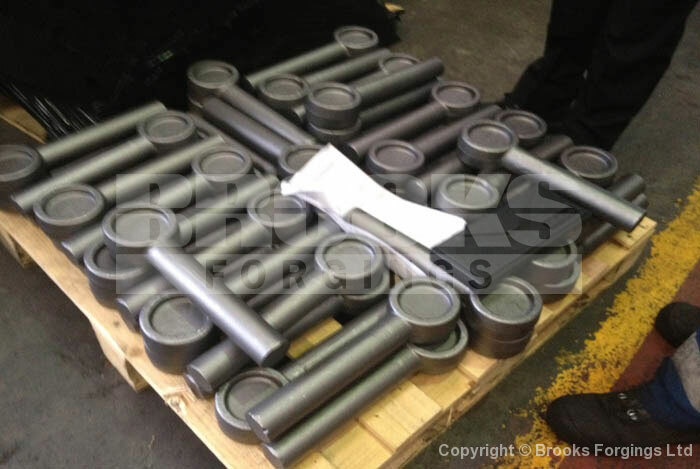 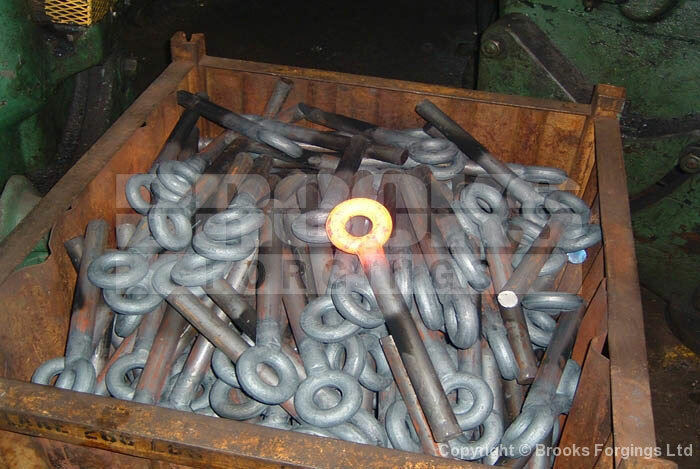 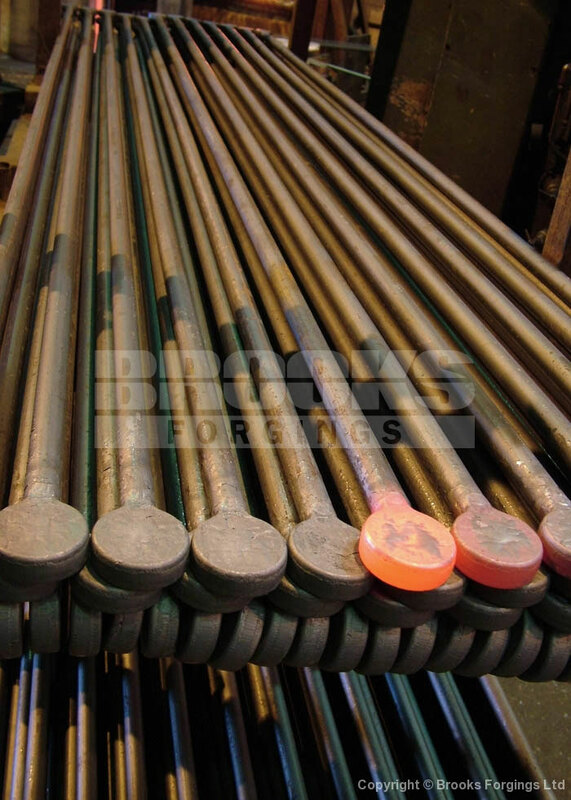 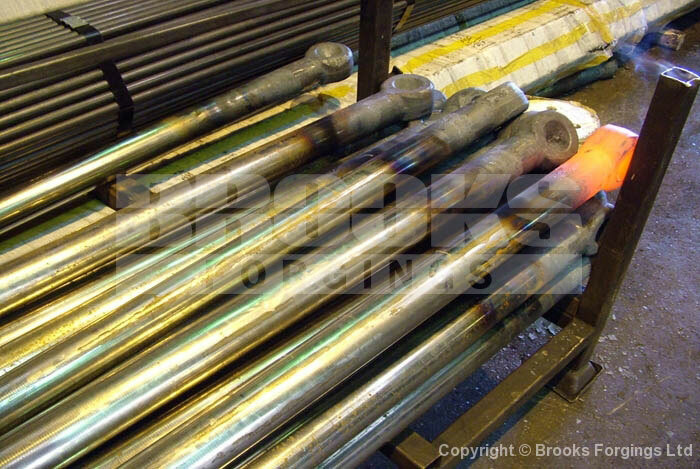 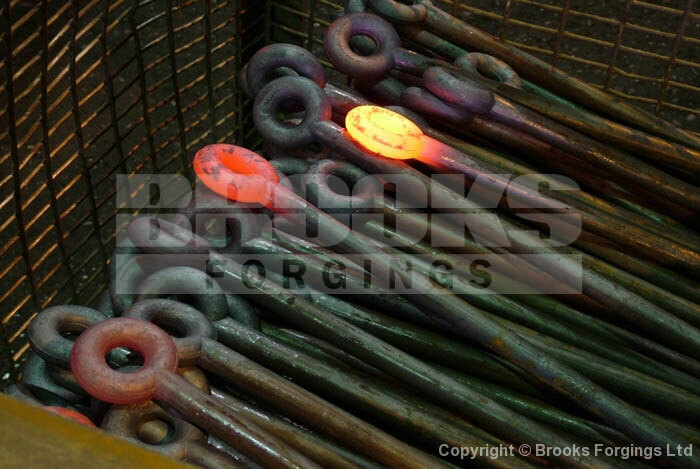 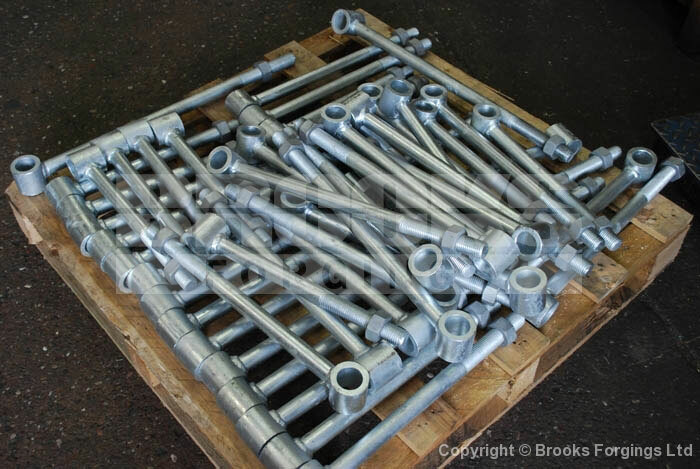 Eye Bolts - UK Manufacturer and Supplier of Steel and Stainless Eyebolts - ©2019 Brooks Forgings Ltd. 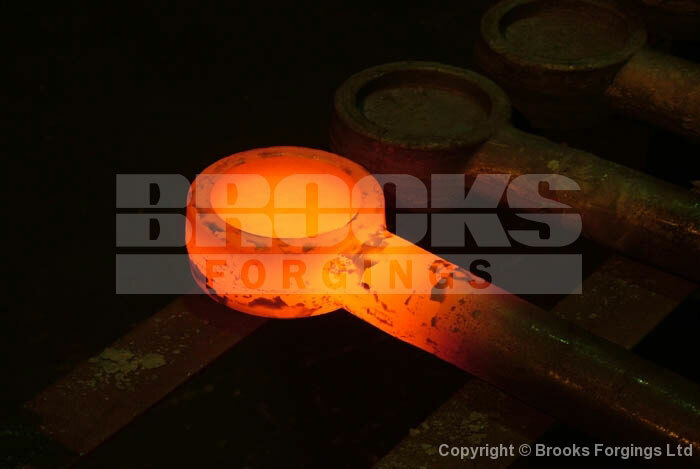 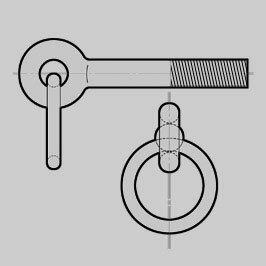 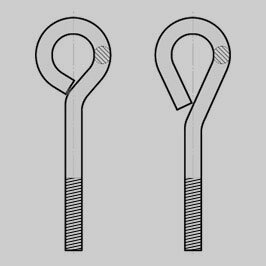 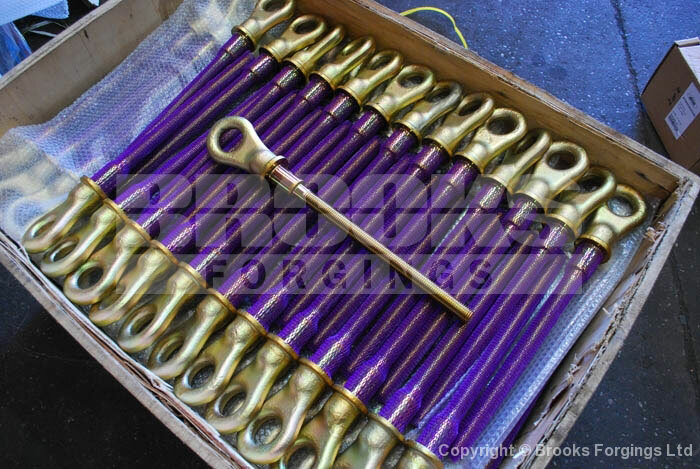 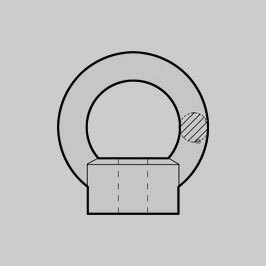 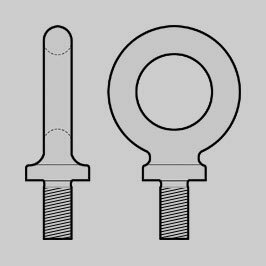 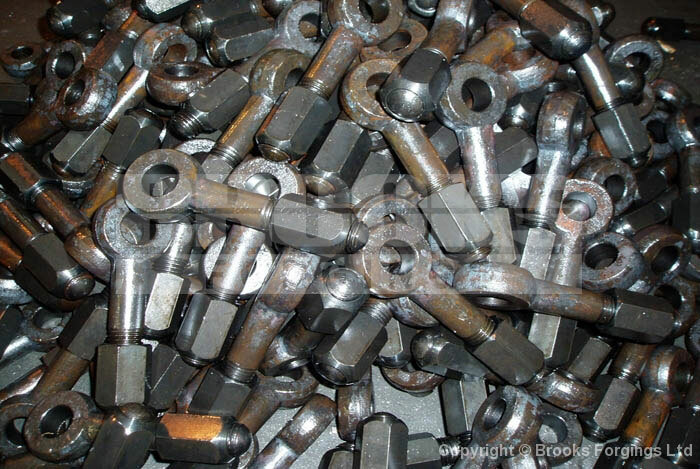 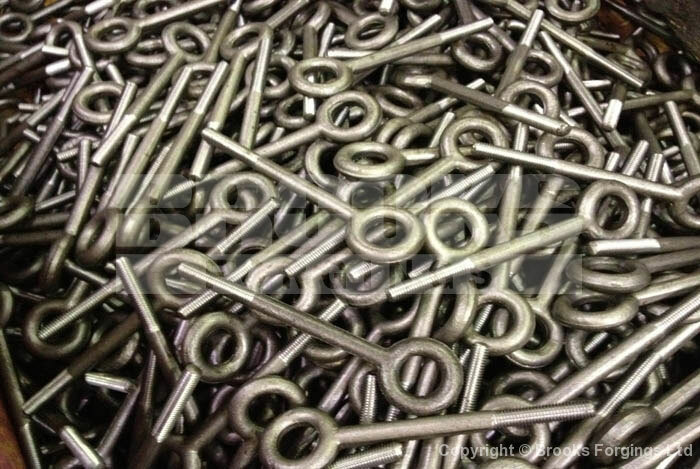 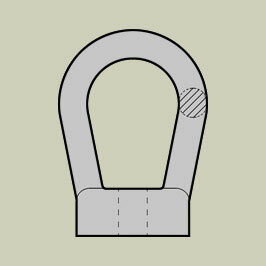 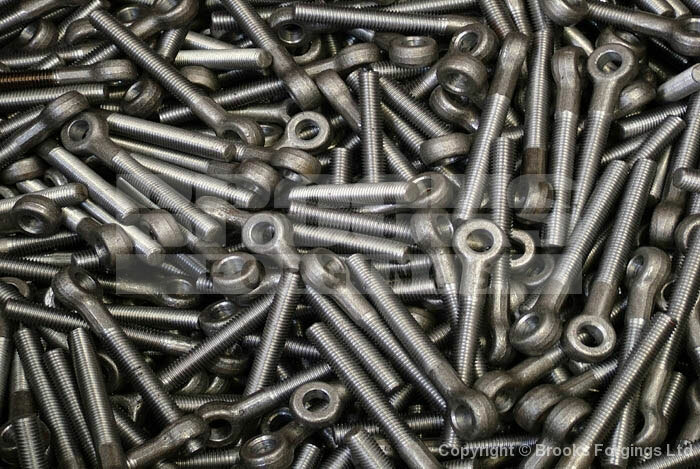 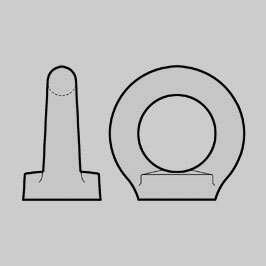 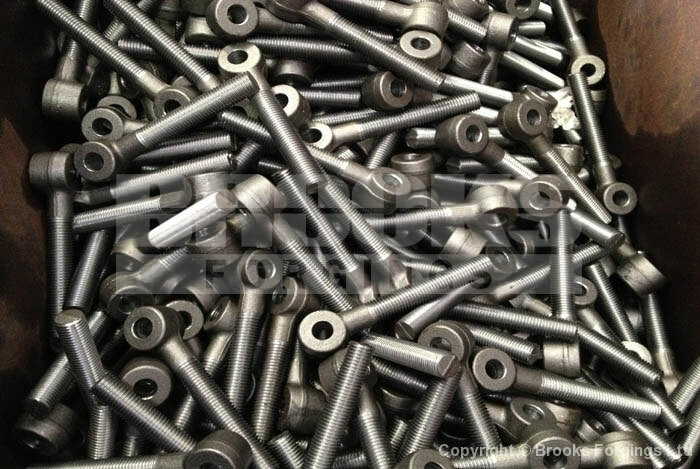 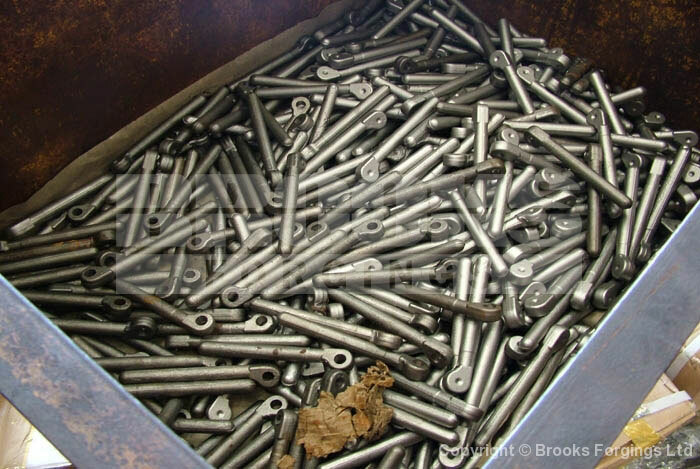 When an item is forged there is retention of a favourable and compressed grain flow as opposed to the natural grain direction found in components machined from solid plain material. 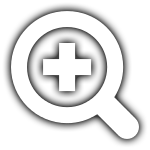 This is demonstrated in the drawings shown. 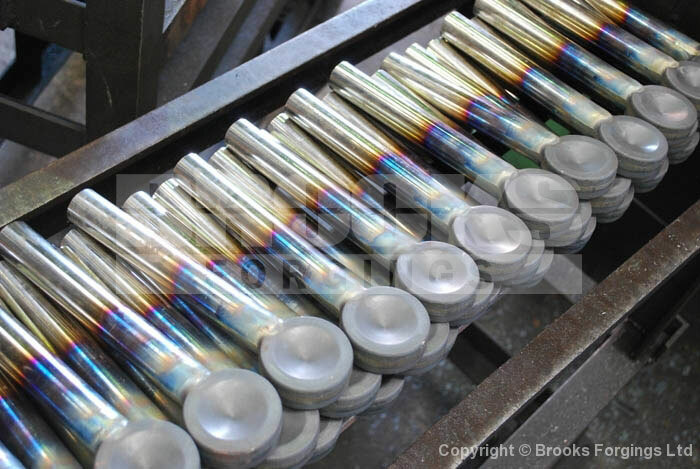 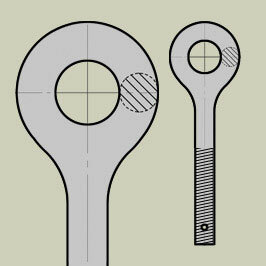 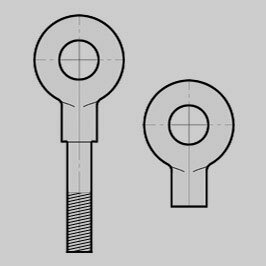 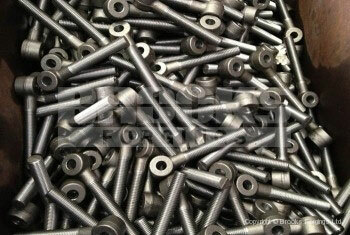 This can cause a weakness in the machined component, especially at changes in the section, which can result in suspect strength at these points of high stress. 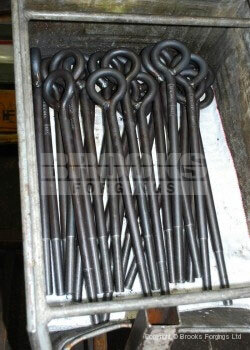 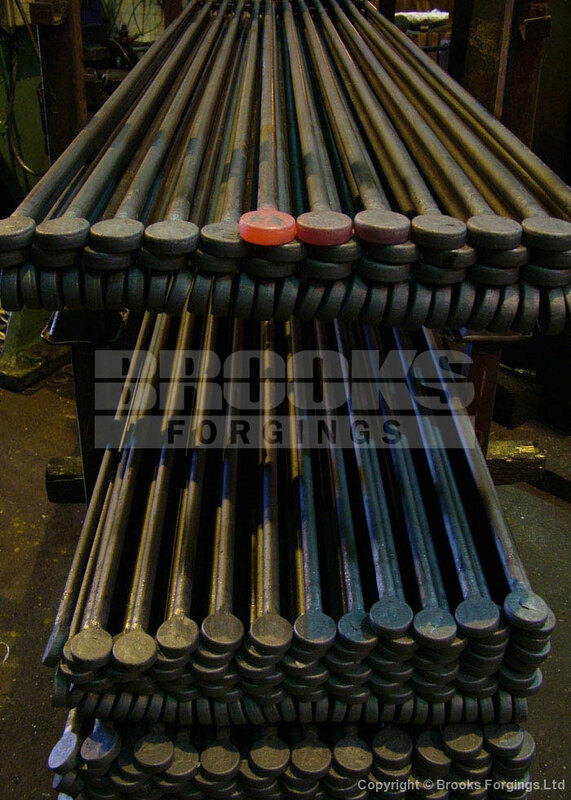 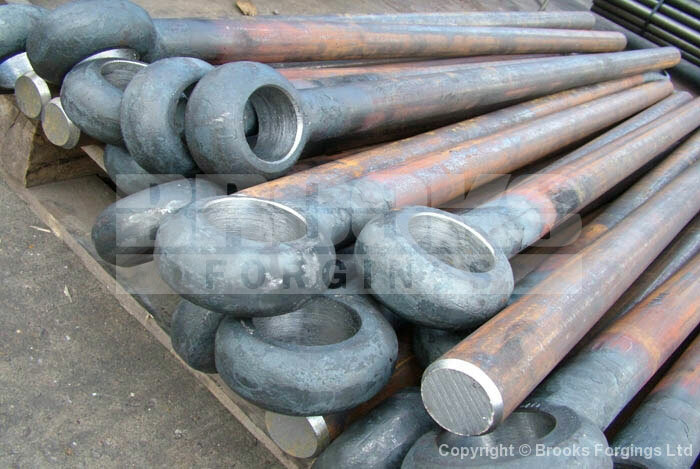 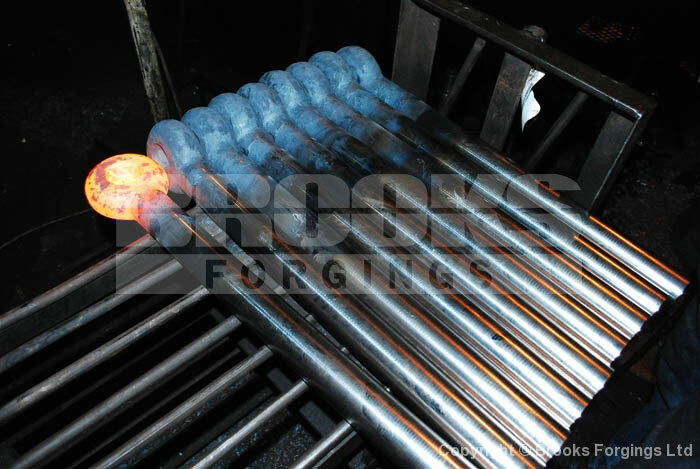 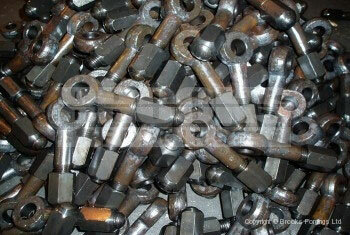 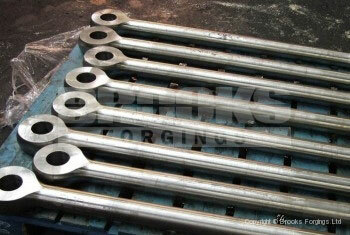 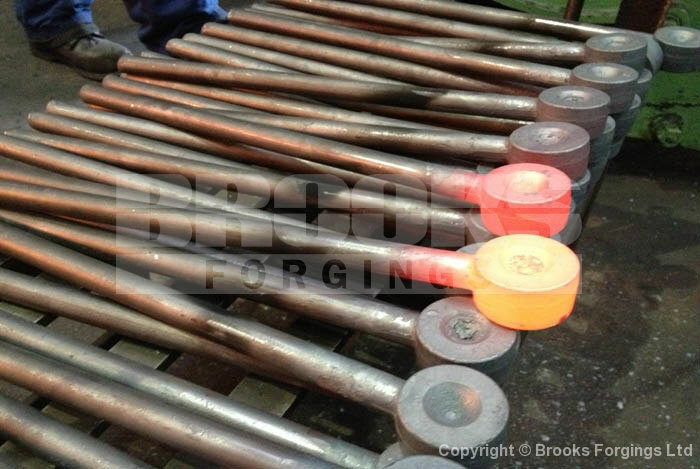 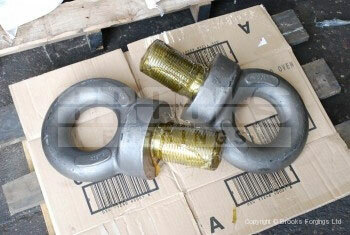 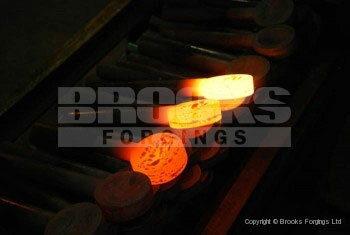 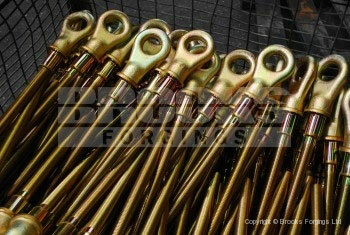 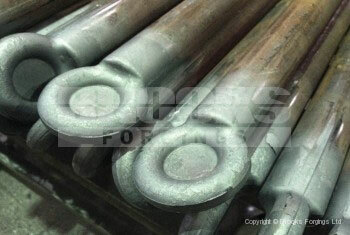 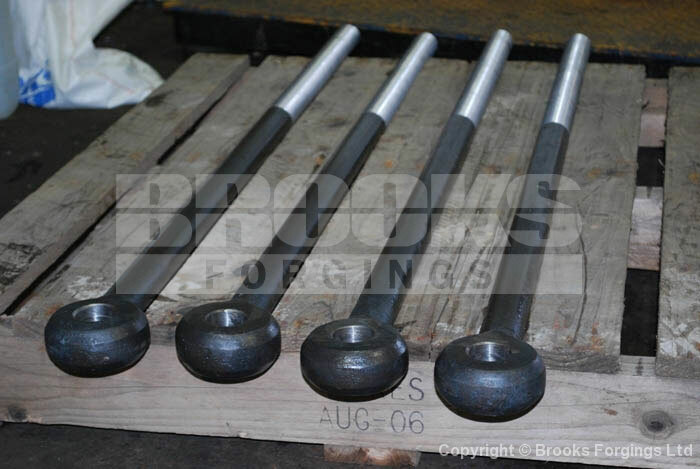 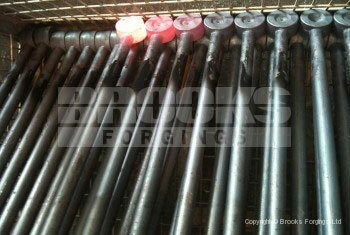 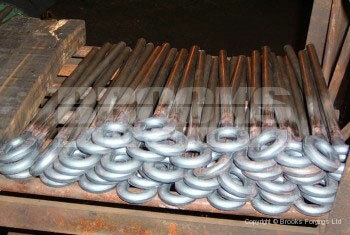 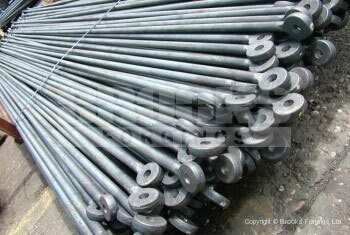 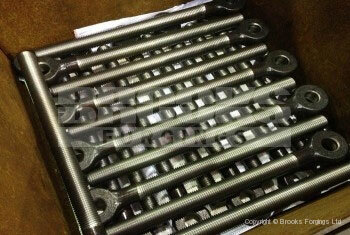 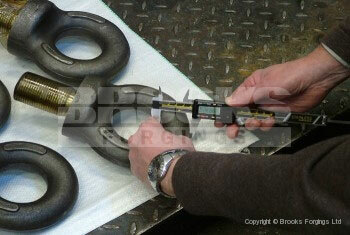 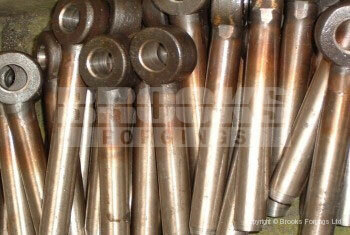 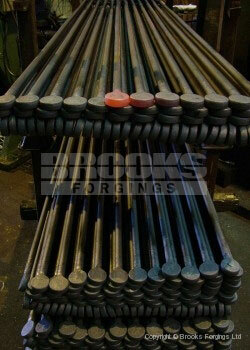 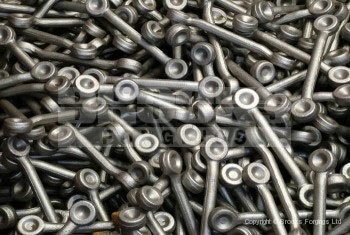 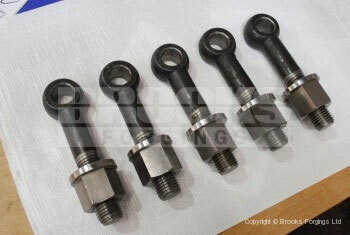 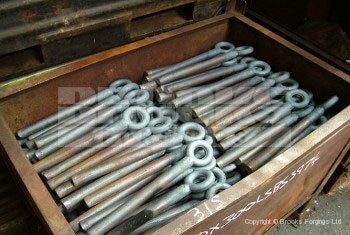 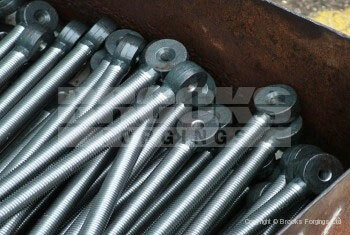 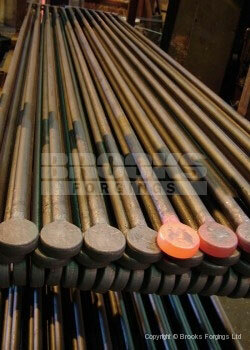 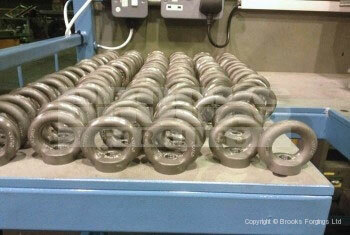 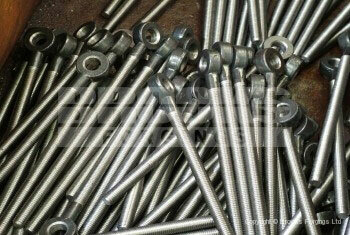 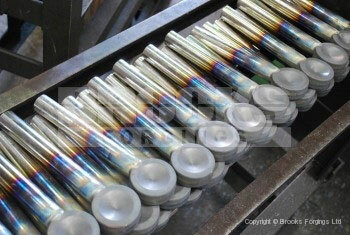 However, with forgings, even if the exterior shape change is sudden the grain transition is gradual. 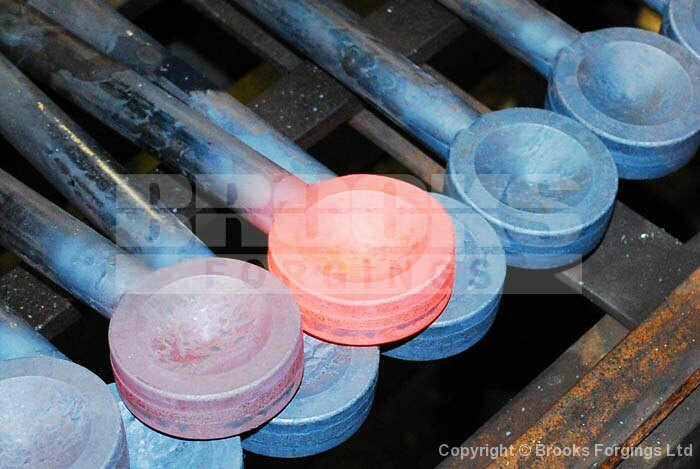 This means there is a better distribution of stress which improves life and performance of the product and its strength. • BSW, BSF, UNC, UNF are also available. 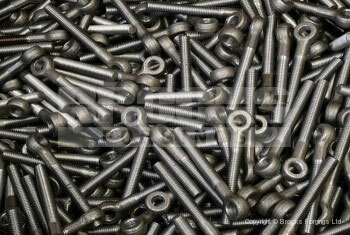 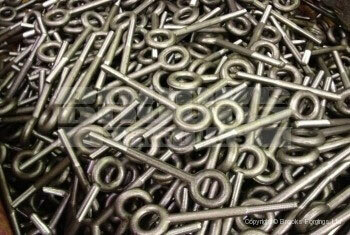 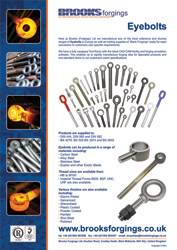 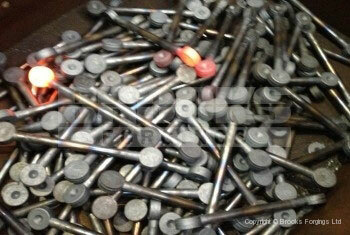 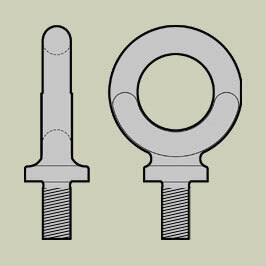 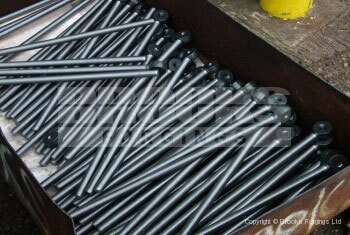 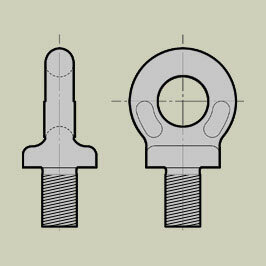 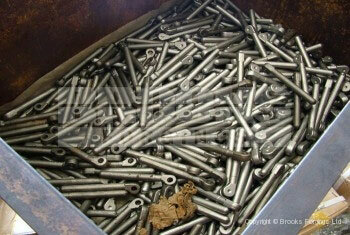 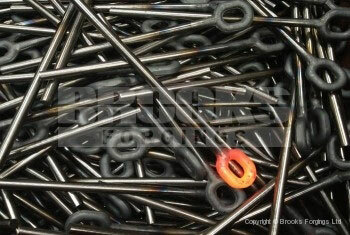 A brief overview of our Eyebolts product range.